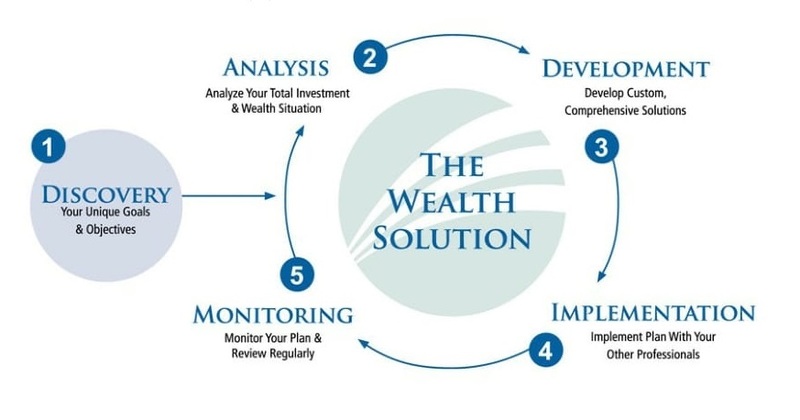 Our approach for managing wealth is built on almost 9 decades of academic and behavioral research, as well as extensive practical experience – including insights into how successful clients create, enhance, and sustain their wealth. Our comprehensive and coordinated approach centers on your future and is intended to help you achieve all that is most important to you. We do this through a thoughtful and consultative approach. Together, we can design, build, and protect a comprehensive, long-term plan that reflects what is most important to you – your values, needs, concerns, and hopes. Understand and clarify your life and financial goals – then create a tailored wealth management plan designed to help make your goals possible. Using academic research and financial science, we will build an investment portfolio that aims to give you the highest probability of achieving your goals with the least amount of risk. Through discipline, perspective, and guidance we will help you stay focused on the long term and keep you on track towards achieving what is most important to you.